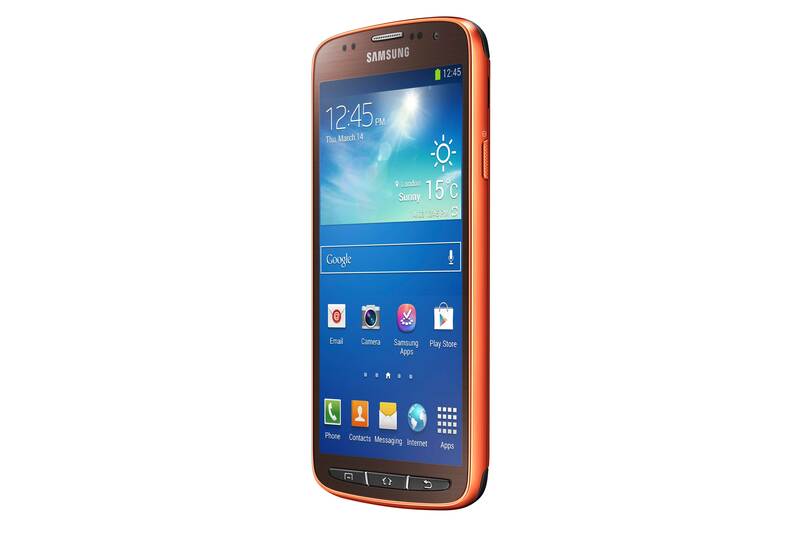 Like pretty much every important phone announcement of the last couple of years, Samsung’s announcement of a rugged version of the Galaxy S4, named the Galaxy S4 Active, should come as no surprise to anyone. Also, as the name may suggest, it’s pretty much just a Galaxy S4, sporting TouchWiz-laced Android 4.2.2 and all its associated bloatware gimmicks compelling additional software options, a 1.9GHz Snapdragon 600 chip, 2GB of RAM, 16GB of internal storage and a 2600mAh battery. Changes begin to become apparent with the replacement of the 4.99″ 1080p Super AMOLED display by an equivalently sized TFT panel of equal resolution, while the rear camera sensor is also reduced to 8MP from the original 13. Where this phone truly differs from its predecessor is with its IP67 water and dust resistant body which, when combined with the physical buttons on the front and rivet-like things on the back, makes for a device that looks a lot better than its comparatively flimsy sibling. Software-wise, the S4 Active has an ‘aqua mode’ for enhanced underwater photo clarity and additional volume key functionality, including long-press for a flashlight and the ability to use it as a camera key. There is no word on exactly when it will launch or its pricing, but Samsung will be showing it off to the press at its Galaxy and Ativ event in London on June 20th, and its initial releases will occur in the US and Sweden this summer in Urban Grey [pictured], Dive Blue and Orange Flare. Update: Here are images of the Dive Blue and Orange Flare models.